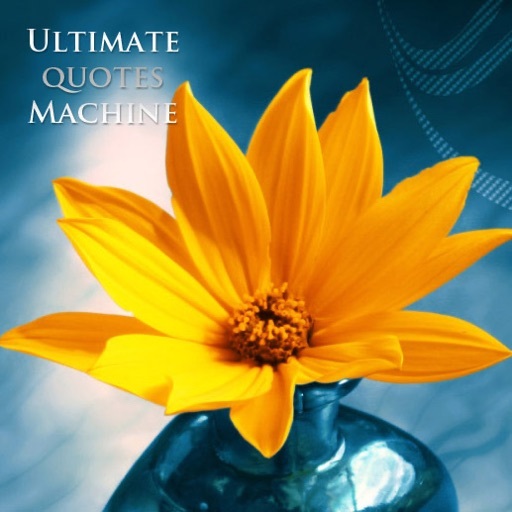 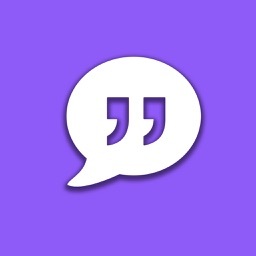 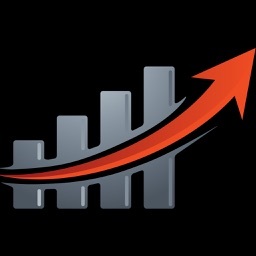 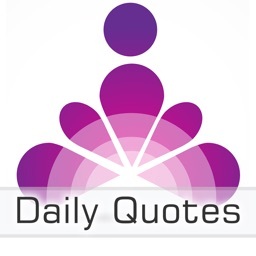 Ultimate Quotes Machine provides more than 30,000 quotes and by more than 10,000 authors. 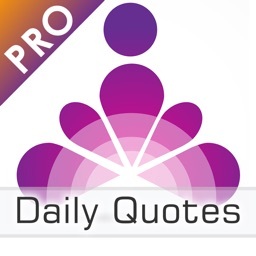 Quotes by a number of historical figures like Albert Einstein, US presidents, Shakespeare, Martin Luther King, Mahatma Gandhi and many others. 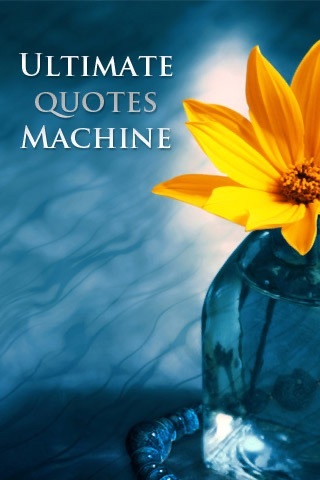 Enjoy the beautifully designed interface with many attractive rendered backgrounds. 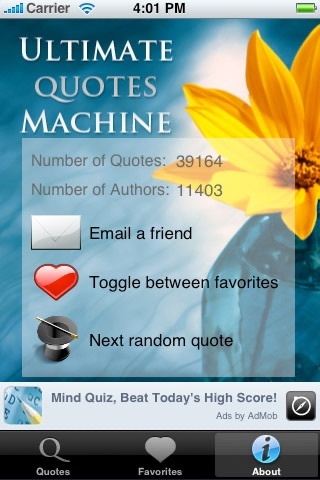 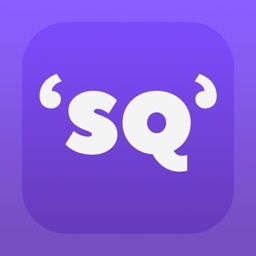 Look for future updates features to view by authors, categories and add your own quotes.